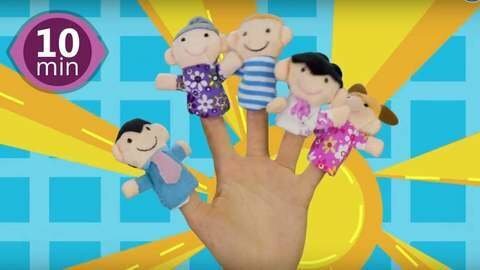 A fun way to learn fingers' names is to watch this 10-minute non-stop Finger Family and nursery rhymes compilation video. Sing to the Daddy Finger song while watching Mommy, Daddy, sister and brother dancing against the colorful cartoon background. Learn more songs while being entertained by going to SeeZisKids.